Want my exact recipe proportions? Just leave your request under comments. actually turned out a winning recipe that is still an all time favorite. I made this soap with real brewed green tea, yummy real honey, and meyer lemon essential oil. It smells incredibly awesome. It makes really nice bubbles and the scent as you shower is amazing. I have to admit I was pleasantly surprised with the quality of this soap. The fresh scent of the tea lingers on your skin, lovely. I substituted the water in the soap recipe for brewed green tea. Worked like a charm. The recipe I designed has Olive oil which contains at least four different antioxidants, which can help "neutralize damaging free radicals that can lead to skin aging and skin cancer" according to Leslie Baumann, M.D., author of The Skin Type Solution. The most potent antioxidant being hydroxytyrosol, which is actually rare and is the one that prevents free radical damage. Olive oil is suitable for all skin type,is a great anti-inflammatory and skin moisturizer. I also used Cocoa butter which is another good moisturizer that keeps skin soft and supple and feeling really great. It is a very stable, concentrated natural fat that is easily absorbed into the skin. It actually creates a barrier between the skin and the environment and helps retain moisture. Women have used cocoa butter for centuries to help prevent and treat stretch marks. I used Grapeseed oil next, I love the lightness of this oil, its smoothness and its absorbability. Shea butter has to be one of my favorites, a very popular luxury butter used in soaps. Legendary beauty Egyptian Queen Nefertiti is known to have used shea butter in her beauty routine. Only grown in Africa, it is taken from the nut of the Shea tree (Butyrospermum parkii), its properties renew, repair and protect the skin against aging and climate effects. Rich in vitamins A,D and E, it also helps in collogen production. Coconut oil I used for its great cleansing and super bubbles and antioxidant properties. Bees Wax I used to help harden the bars, plus it smells SO good in soap.... with its antioxidant properties as well as being a humectant, its a real winner. would love your recipe! I am a newbie soaper! thank you!! If you don't have the oils I use in this recipe, simply substitute what you do have on hand and run your recipe thru a lye calculator to get the right lye amount. You make tea soap like any other soap recipe, you just substitute the water with brewed tea. on how to safely use lye, how to make hot process/cold process soap, plus just about anything else you can think of about soap! Any other questions, just ask! Let me know how it comes out! Thank you Anna for the recipe. I'm trying to be more "green" in my home and love to try new things towards that. Can't wait to try this. Hi Shirley, your welcome! Thanks for the comment, I also am trying new and healthier things in my home! If you don't have all the same oils/butters as I used, you can substitute for what you do have, just be sure and run the recipe through a lye calculator like the one at Brambleberry.com or Mountain Sage Lye Calculator, or use your own favorite soap recipe using brewed tea as the liquid. Love to hear how it turns out! 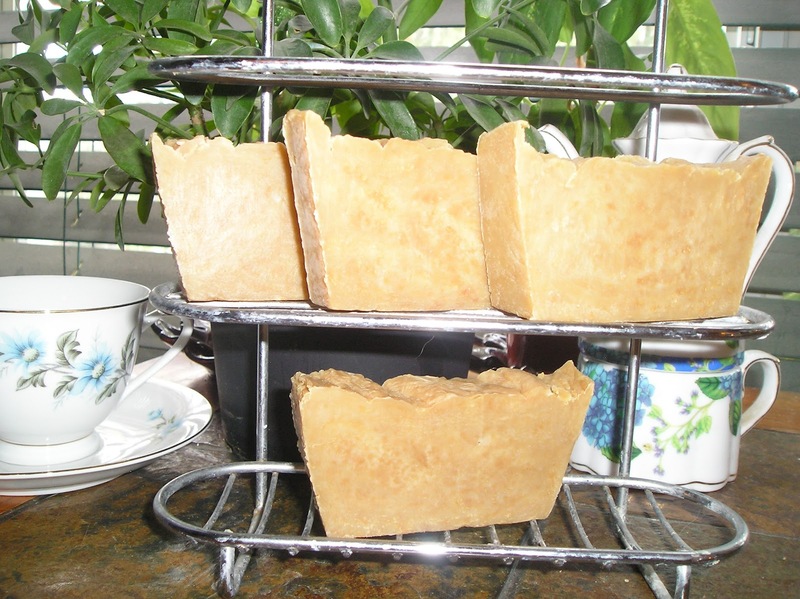 Hi Connie, Yes, I have tried making goats milk soap and I love it. My teens really like it as a facial soap. It is so creamy and luxurious. I just started making soap about 7 months ago and love it. Hope you get to give it a try. I, like you, only liked using homemade soap, I just loved the quality, but was intimidated to make it myself. Once I sat down with a "soaping" friend of mine and she walked me thru the process, I saw that it really is alot of fun and not so scarey after all! The recipes for natural soap goodness is limitless! Connie, thanks for following! I will be posting a 3-4 oil(s) soap recipe soon. A good, basic recipe with easy to get ingredients, and tutorial. Hope you find things of interest on this blog! I just found your blog. I would love your recipe for the Homemade soap with Tea, Honey and Lemon. 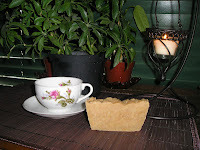 Hi Paula, thanks for the interest in my tea soap recipe! Glad you found my blog too. The recipe is found in a comment above, just scroll up! I am working on a tutorial, and a great, easy 3 oil recipe for Mocha Soap made with real brewed coffee. I'll post it tomorrow so please check back, I think you like it. I know it smells wonderful! Its one of my all favorites too! Hi Riens Handmade Soap, thanks for stopping by ! Hi Maneisha, sure you can have the recipe for this soap... just scroll up in the comments and you will see where I wrote it out for another soaper! Just found your recipe and am very excited to give it a try. Thank you for sharing. I have everything except the Crisco. Is there something you would recommend as a substitute? Well, I'll tell ya what ... send me a list of what oils/butters you have on hand and I will design a soap recipe for you with what you have on hand. I don't really have a substitution per se for the crisco, it would be better to just make a new recipe and get all the %'s correct. I don't mind in the least doing so for you. Would you consider using lard, the kind you cook with, easy to find at the grocery store. It makes fabulous soap, super bubbly and moisturizing.